FOR IMMEDIATE RELEASE – HOUSING CAMPAIGNERS TO TARGET TONIGHT’S PROPERTY AWARDS. 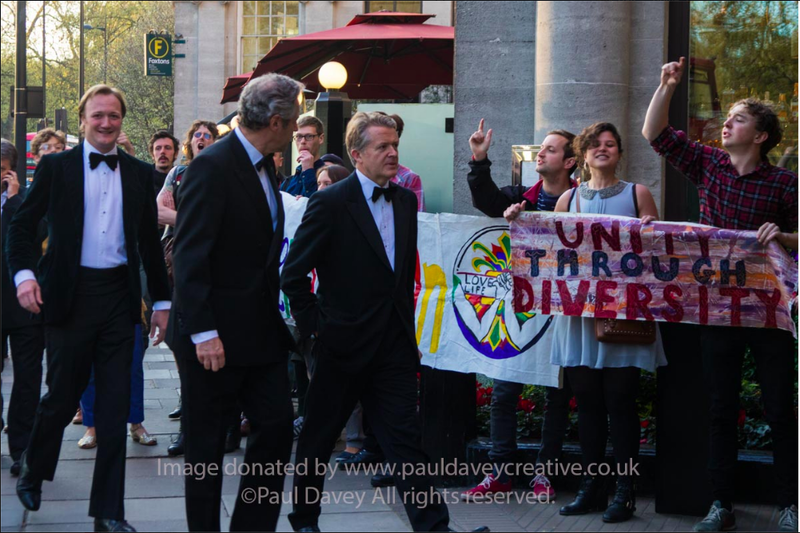 April 19, 2016 / Comments Off on FOR IMMEDIATE RELEASE – HOUSING CAMPAIGNERS TO TARGET TONIGHT’S PROPERTY AWARDS. HOUSING CAMPAIGNERS TO TARGET TONIGHT’S PROPERTY AWARDS. This Tuesday 19th April 2016 housing campaigners from across London will stage mass protests and actions at the Property Awards, the annual industry award ceremony for the developers. Campaigners from across London, alongside a number of different housing campaigns – including Kill the Housing Bill, Radical Housing Network, and Focus E15 – will descend on the Grovesnor House Hotel, on Park Lane, London, to stage a series of protests and actions during the event. A spokesperson for the protestors said: “London is in the midst of an acute housing crisis, in which ordinary people are finding it harder and harder to afford and keep a home. At the same time the big housing developers are reporting record profits, profiting from Londoners misery. The protest will be attended by a number of estate regeneration campaigns, in light of recent revelations over developers highly lucrative role in regeneration. Leading property firms are directly influencing and profiting from regeneration policy. Savill’s, a leading property firm, submitted reports on the subject to the cabinet office, and are advising Lambeth and Southwark on regeneration strategy, picking up lucrative contracts from the Boroughs in the process. The protests also comes at a time when the Housing and Planning Bill has been the subject of extensive protests over the last months, and is facing a rocky ride through the Lords. The protests will start at 6pm and take place for the duration of the ceremony and beyond.